Feeling sick in Spanish: How to say it hurts! Talking about pain with "dolor" and "tener"
True story: When travelling in Southeast Asia, I got bitten by a monkey. It meant I needed to get five doses of rabies vaccine. Do you know how much fun it is to go into a health center in a country where you don't speak the language, and explain that you need a rabies vaccine because you were bitten by a monkey? I had to mime "monkey" and "bite", and it was hilarious for everybody. 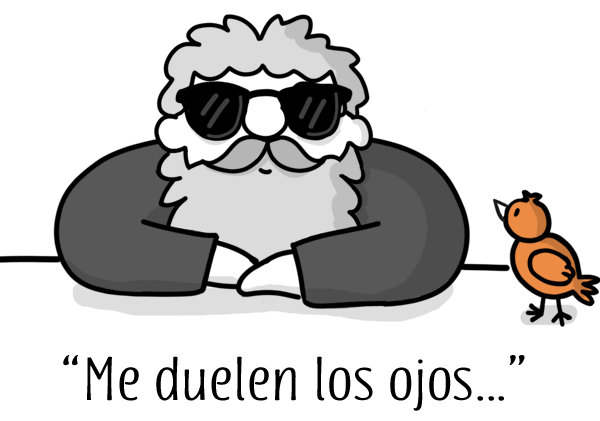 The most painful verb you'll meet: "doler"
In Spanish, you don't say "my head hurts" like you would in English. You literally say "The head hurts me" (and people just assume that if "the" head hurts you, that head is probably yours). For your head to hurt you, it needs the verb "doler" (to hurt). "Being with" pain using "estar"
As if you needed yet another way to be uncomfortable, you can also say "Estoy con un dolor en ..." ("I am with a pain in ...") and that will also get the job done. This is just as common as using "tener", and they're completely interchangeable. My advice would be to at least memorize that first item in the list above. There's an extremely good chance you'll need to use it at some point, and it makes a better conversation starter than talking about the weather.